Our mission is to educate, train, and connect leaders for the betterment of our community. 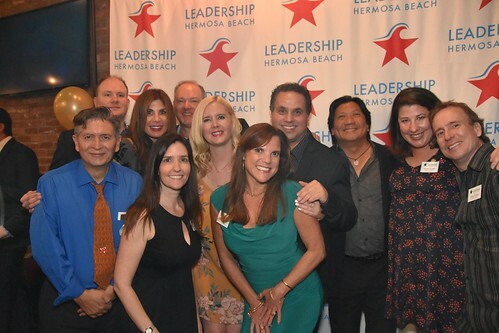 Leadership Hermosa Beach was founded in 2003 by former Mayor Art Yoon as a community-based organization that conducts an annual leadership training program to local residents in and around Hermosa Beach, California. The purpose of the program has been to foster a life-long love for our city by educating existing and potential leaders within the City of Hermosa Beach. Since its inception, Leadership Hermosa Beach has better prepared local citizens to become more informed and prepared to seek out and accept leadership roles in the community. For example, graduates of the Leadership Hermosa Beach program have become members of City Council, City Commissions, and the local School Board, as well as nearly every service organization in town. In order to continue to develop and grow Leadership Hermosa Beach, the Board of Directors formalized the program in 2008 by incorporating Leadership Hermosa Beach as a California Non-Profit Public Benefit Corporation and obtained its tax-exempt status as a 501(c)(3) educational organization.